I've developed another lesbian crush. Sorry Lena (and I suppose Danny) but I've been cheating on you with French fashion blogger &illustrator, Garance Dore. Not only is her blog fab (the city guides are going to make my imminent trip to NYC a cinch to plan) but her posters and prints are to die. The following four will soon be hanging up in my bedroom. 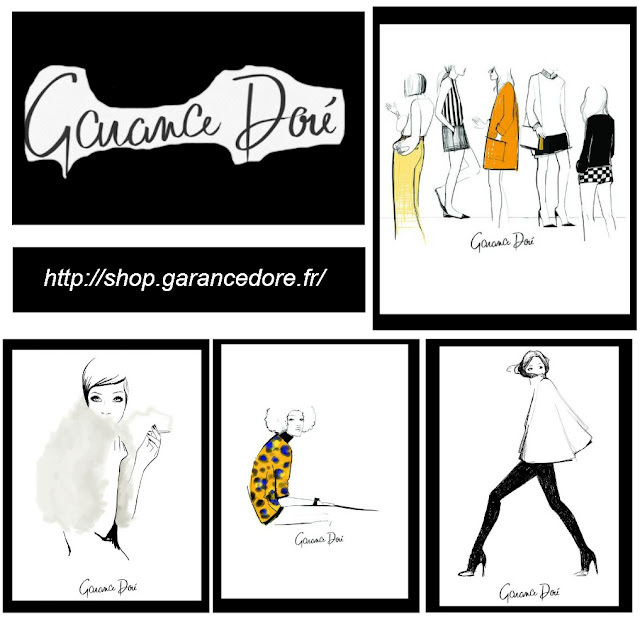 Another tidbit about Garance? Her BF is Scott Schuman aka The Sartorialist- not a bad boyfriend to have! Something tells me she doesn't have to make him stiff Crown Royals and bribe him with erotica to get him to take her pic like I often do with my man. Ahhhhh OBSESS WITH HER!!!!! she has been an inspiration for me even before i started my blog ADORE HER!!! !